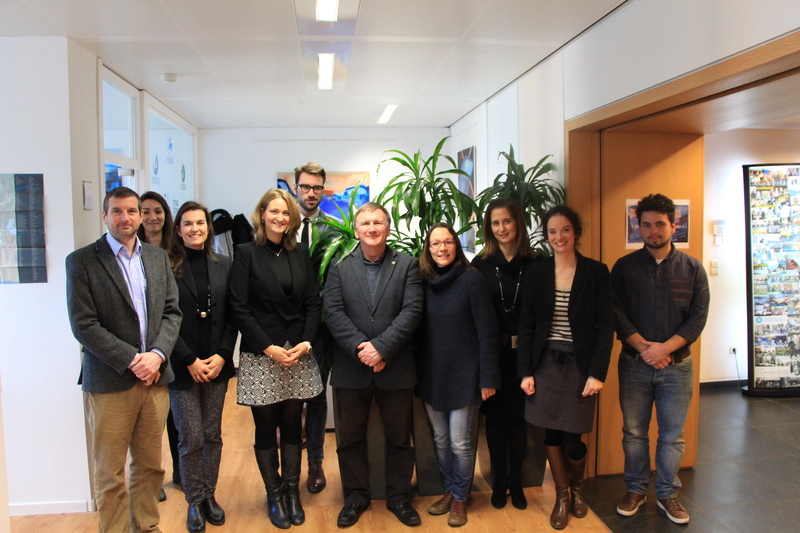 Dr McKenzie recently had a visit to Brussels to cement Xanthella’s partnership in a new project to develop a ‘Blue Technologies’ Masters Degree. “The two-year Master’s degree, named ‘Blue Biotechnology Masters for Blue Careers (BBMCB), will be open to students with four years of higher education. Taking place at the University of la Rochelle, it will involve scientific training on Blue Biotechnology, which is the exploration and use of marine organisms to develop new products. Along with the Atlantic Arc Commission, the project also involves academic organisations and Small and Medium Sized Enterprises (SMEs) from France, Portugal, Spain and the United Kingdom, as well as the Apprenticeship Formation Unit and the Lifelong Training and Employability Department from the University of la Rochelle. This unique public-private partnership, which has a budget of just under €835,000 and is being financed by DG Mare under the “Blue Career” call for proposals, will ensure that students obtaining the Master’s degree will fulfil the needs of the SMEs and are ready for the workplace. They will receive academic and practical knowledge, as well as technical skills, to become efficient in, for example, the production, extraction, characterisation and evaluation of marine molecules with biological activities. They will also develop the communication, language and management skills they need to help kick-start their careers as scientists. As well as educational courses, work-linked training will take place during the course, combining practical approaches to the latest scientific knowledge and research. From the beginning of the second year of the master’s programme, each student will undertake an apprenticeship or internship with a project led by a blue biotechnology industrial partner. Workers wanting to increase their knowledge or people seeking employment will also benefit from this training, with lifelong learning schemes and mentoring opportunities available. A winter study school will be organised for students from various origins and levels, and there will also be the opportunity to attend conferences and courses on Blue Biotechnology. Mrs Laurence Harribey, Regional Councillor or Nouvelle Aquitaine, and Chair of the CPMR Atlantic Arc Commission Innovation Working Group, said: “This experimental project, involving a range of partners from business, academic and public sectors across Europe is aimed at giving students the education, practical and scientific skills they need to find employment in the cutting edge biotechnology sector.